I found writing this episode particularly difficult perhaps because it’s an issue that is particularly close to my heart. So let me start with a confession. I wear many hats on a day to day basis, but I started my career, some thirty years ago, as a software developer. These days I do very little software development and what I do do is usually as a hobby, not as a profession. Despite doing very little development, I still think of myself, foremost, as a software developer. So now I have to make do with guiding a development team through the twists and turns of bringing a product to market. Despite my lack of ‘hands on’, cutting of code1, with respect to Noojee’s range of products, I still have a very strong sense of ownership. Great software developers create not merely a program, but a work of art. I’m not referring to the aesthetics of the user interface (although that too can be) but to the aesthetics of the actual code that makes up the program. I imagine the feeling a developer has creating an elegant solution to a complex problem, is not unlike the feeling Shakespeare had when completing a sonnet. The moment in which, as a developer, you suddenly see the simple path that clears away the complexity, that moment delivers a tangible high. In the hands of a great artist, computer programs can be things of beauty. I love the software we have created and in a very real sense the products we have created are the work of a life time. Warts and all, they are my babies. So now you might understand my dismay when I see that people put very little thought into choosing software and often make a selection for all the wrong reasons. Lets be honest here, purchasing is essentially an emotional decision. You like the brand, you liked the sales person, you trust the company, so you go with your gut and hope. I’m not about to change the fundamentals of how people buy, but I can give you some hints to help you validate your purchasing decision and hopefully help you identify flaws in your decision before you get too far down the path. So how do you create your checklist? I advise long walks (without your mobile phone), long baths and train rides to nowhere. Take a notebook and a pen or pencil. I like a mechanical pencil2 with a large rubber attached. Now, I’m a geek, so don’t think I’ve suddenly gone all anti-technology. The issue is that you need to clear some head space and gadgets tend to get in the way. I read somewhere that the world needs boredom to spark creativity. The problem with gadgets is that they never leave you bored3 and right now you need to be at your creative best. Just one more game, one more twitter, No! I have had staff leave telling me how easy it is to run a business, I’ve been to self help gurus that have told me how easy it is to become rich. To be blunt they are all full of SH*T. Running a business is plain hard work. Over 90% of businesses fail in the first five years. If you want to be in the 10% club than you are going to need to work your little tush off, and the work starts now. Put your gadgets aside, go somewhere quiet and start visualising a days activities. Visualise getting out of bed, see yourself walking to the bathroom, getting out your brush and tooth paste. Squeeze the tube and consider the two possible outcomes. Toothpaste emerges or the tube is empty. What do you do in each of these situations? Now work your way through the whole work day inside your new call centre. Do it over gaining taking on different roles in the organisation. Visualise each process, visualise talking to the customer, practice the conversation you are going to have with them, the questions you will ask, the objections they will raise, the notes you need to make. Visualise what you do after completing a failed call, what you will do after a successful call, what if the client wants to ring you back later, what if the call drops? What happens to the details of a successful call? Who do they get sent to next? What problems can occur at each stage of the process? What happens if an agent’s PC fails? What processes do you need to do at the end/start of each week, month, quarter or year? What are your hours of operation going to be? How do staff get to and from work? Where do you purchase leads from? How may leads do you need per agent per week? When do your customers pay you? When do you have to pay your staff? When do you have to pay your suppliers? What if customers pay late, how do you make up the short fall? As you mentally work through each aspect of a day, make copious notes. Once you get back from your long walk or out of the bath, take your notes and start typing them up and organising them into logical groupings. Write detailed descriptions for each process. Identify the responsible party for each process. As you go through this process, your business requirements will start to fall out of your own notes. The business critical processes will become self-evident. You will also have done yourself a large favour. By working out the processes and how to deal with problems before you start hiring staff and buying software, you will save yourself a fortune and help to ensure your own success. Don’t skimp on this process, don’t think you can just wing it. Make the time, make the plan. Start the search for your ultimate call centre solution; find 2 or 3 companies that you like the look of and seem to meet you core requirements. Have an initial chat with each of the sales teams. Make certain they know their own product and leave you with a feeling of confidence. Listen carefully, if you don’t understand what they are saying, stop them and make them explain. A good sales person will listen to you and understand your business.Â Only then will they start making suggestions on how to get the most out of their product or service. This will be a learning process for you. Don’t hold back, tell them everything about your business. We sometimes get customers who don’t want to tell us about their product or service, because their idea is revolutionary and they don’t want anyone to steal their ideas. I hate to tell you, but in 30 years in technology I’ve seen very few revolutionary ideas. What I have seen is well executed ideas. These are the ones that succeed and the people behind these ideas are only too happy to talk about them. They talk, because they want you to help find the weaknesses, so they can make their ideas stronger. If your idea is truly revolutionary then patent it, otherwise tell everyone and let them help you hone your ideas. Once you have done the first round of interviews with potential suppliers, its time to revise your checklist. There should be new requirements that come out of these conversations. 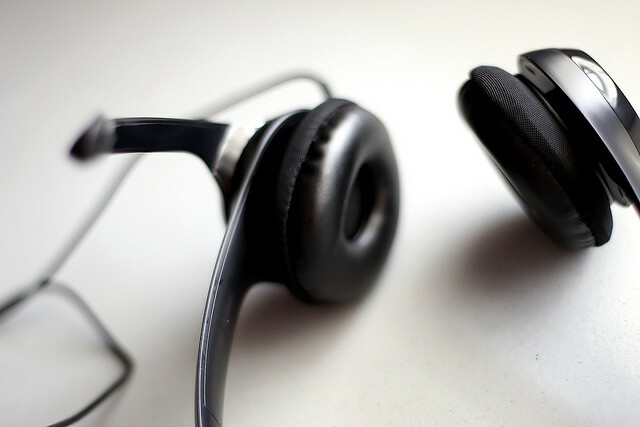 You should have gained some insights into how you can maximise the use of call centre technology and these insights should be fed back into your business requirements, processes, position descriptions and your checklist. Now send your checklist to each company and get them to fill it out. Split the checklist into ‘MUST haves’ and ‘Like to Haves’. Be realistic in your MUST haves. ‘Must haves’ should be show-stoppers, items that without them, the business will fail. When the checklists come back, the reality is that most of the answers will be the same, but it does give you a chance to ensure that nothing critical has been missed. Its now time to make a decision and my advice is go with you ‘gut instinct’. Over many years I’ve found that my ‘gut instinct’ is usually right. When I’ve ignored my ‘gut instinct’ it has usually cost me. The next episode might be on my favourite topic, ‘Cash flow’. How many staff are you going to start with? You need to trial your business process before you start hiring lots of staff. Even with all of the above planning there will still be flaws in your processes. You need time to test the processes and modify them before you have 10 staff standing around waiting for fresh instructions. Be realistic in your sizing requirements. We often have customers tell us that they are starting out with 4 agents, growing to 100. It’s one thing to have big ambitions, but where is the capital (cash) going to come from? Adding staff is expensive and can eat your working capital (cash in the bank required to pay bills) very quickly. Plan your growth to match your cash flow. Of course, you have talked to an accountant? 1. We geeky types refer to the process of writing a software program as ‘code cutting’ although I would never let a developer near a pair of scissors, it never turns out well. 2. Those pencils that when you click the top more lead appears. 3. I grew up in a rather religious household and at a young age independently developed the theory that churches are the worlds purest source boredom, no wonder then that they are always asking you to turn off your mobile phone! 5. So can a poem be both an Ode and a Sonnet at the same time? Of course if its really neither, does it matter?